How funny, I was looking at this on Amazon today. I like flavored creamer and I could only buy 6 at a time and I don't want to get that many to start. My issue is I like my vegan creamer to be on the thicker side and what I have found has not been that. 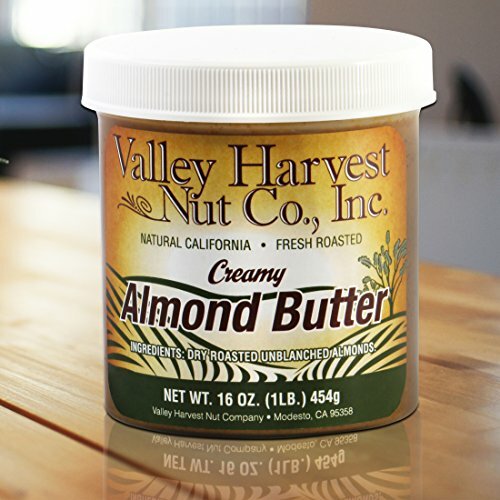 I did find a recipe for vegan hazelnut creamer that promises to be thick so I am going to try making it this week. I use mostly whole foods and consume little pre-made/processed foods so this recipe will be perfect if it comes out good. But, if it doesn't, I may get this. I wish they sold it locally so I could buy just one to try it out. I miss good creamer. 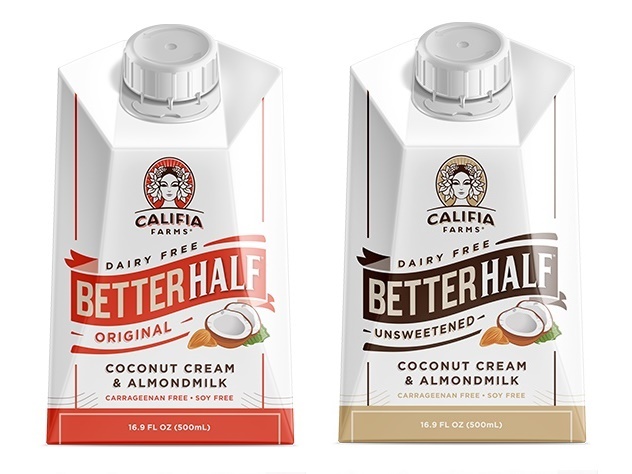 I actually found it by using the store locator on the Califia Farms website, and it took me to an locally owned store, out on the coast (McKay's Markets). If you enter your zip code into the store locator, I think you might find a few stores near you, Tantalizing. It's heavy, thick, tastes wonderful, and I like it. I bought several. Thanks for this. I will have to check again because I know some stores near me carry this brand, yet I have not seen this particular product. If not, I might try Silk again, if the recipe I have doesn't pan out. I'm pairing this Queso dip with Amy's Black Bean Vegan burger-patties, tonight for supper. I plan to pan sear the BB patty 'burger' in EVOO, then crumble it up on top of organic seeded tortilla chips, then pour some of the Jalapeño Queso on top. Sounds yummy, right?! Just a tiny update about my adventures in trying out new plant based recipes and such, today. I went shopping for the ingredients for the Queso recipe (see post above) and couldn't find powdered cumin, so I substituted Smoked Sea Salt, that I found and bought from the health foods section of the grocery store. When I prepared the Queso, I used Smoked Almonds rather than the usual roasted almonds. I save the water I used to boil the smoked almonds in and added it to the base of the Cauliflower soup I made a few days ago.... which really improved the flavor of the soup. I also added Jalapeño's to the soup too, which also improved the flavor. And, in the Queso recipe by Califia Farms, I used two small sweet red bell peppers to the mix... to improve on fiber content and other trace vitamins and minerals unique to bell peppers. Using Smoked Almonds and the sweet red bell peppers added toward to entire flavor of the Queso. In addition, because it's hard on me to stand for long periods of time, I doubled the Queso recipe and came up with three extra small tubs of Queso. Because it's fresh, it's necessary to keep it refrigerated and to use it up within a week. So doubling the recipe helped because I have Queso on hand for the rest of the week and can heat a small tub of it up in the microwave, to use for meals I have on short notice. 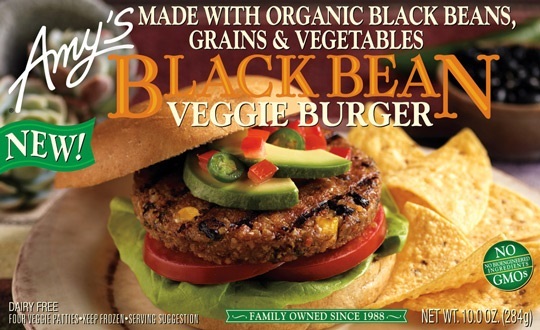 My sister-in-law and her husband gave me a huge bag of Black Bean Vegan burgers, and I need to find out where they bought them because while shopping for Queso ingredients the other day, I browsed vegan black bean burgers in the frozen section and did not find the ones they gave to me. The ones I have are bigger than the BB burgers made by Amy's or by other in-store brands offered by major grocer's (ie, Trader Joe's, Whole Foods, etc). So I'm working on finding a grocery store that carries the line of BB burgers my bff/sil and her husband gave to me. However, in the link I left for the Jalapeño Queso recipe by Califia Farms, I noticed at the end of the page, three other pictures of what looks like interesting meals to make. I am going to try making the Butternut Squash Tarts with Pumpkin Cashew Crema, next. If they turn out as good looking and tasty as they appear in the photo, I'm going to make them for Thanksgiving, as treats, to take to neighbor's in my community who live alone and have no one to share the holiday's with. I had a good vegan dinner tonight that was easy to make. It's one I make a lot. Appetizer: black rice crackers layered in the following order with "Go Veggie" vegan cream cheese substitute, garlic and chive flavor; cucumber; paprika; apple. What are your easy to make, staple dishes and snacks that you have often? Another one of mine that I've been having all the time is vegan paleo bread (bought frozen and then toasted from the health food store), pineapple-tumeric hummus (from health food store), toasted walnuts, and arugala. I have it with kale chips if I want something crunchy on the side. It's a meal I sometimes have at work. The pineapple-turmeric hummus sounds really good, but I've never seen it at any store I shop at. As far as easy to fix, things to eat, I keep lots of veggies on hand (cauliflower, celery, carrot chips or sticks, broccoli buds, etc) and pair them with hummus, which has pine nuts and Mediterranean seasonings. I also like freshly ground almonds and peanuts and Tahini paste (ground sesame seed paste) on rice crackers or beet crackers or blue corn chip type crackers. I think the easiest thing for me is making homemade vegetable soups. I've been having more soup lately, as an main meal. During warmer months, I live on garden salads. I never got the chance to make the pumpkin crema tarts, but I recently baked a few butternut squash and chilled the sections, so I could cube it and have it on a bed of salad greens. I'm missing fresh berries, right now. My favorite on-the-go snack is organic seeded crackers, slathered with freshly ground peanut or almond butter, and then stack fresh raspberries on top. Delicious treat, almost anytime of the day or night. An idea came to me, over the past year of 2018, that since it's hard to find easy to make vegan recipes for meals, I thought I would create my own chapbook of Vegan Recipes. Most all meals I make from scratch, and some meal ideas utilize easy to purchase vegan food choices found at some major retailers. I thought I'd share today that I recently made an navy bean soup in my small crock pot, last week. I had a cup (or so) of the soup left over, so I'm using it as my soup starter for the next batch of soup for the week. Here's an recipe I put together for others to try, which is based on making it fresh from scratch. This recipe is easy to prepare, doesn't involve much time in preparation, but it allows for about two hours of cooking to complete the whole batch of soup. I usually start the soup in the early afternoon, and by dinner time, it's ready to enjoy. 1) wash up and rinse off the (Pre-Soaked over night) navy beans and split chick peas and cover them with 2 quarts of fresh water and put them on to cook. Bring to a boil, then reduce the heat to simmer for about an hour or so. 2) bake the small acorn squash, during the time the navy beans and split chick peas are simmering on the stove, at 375 degrees (for about an hour), then remove it from the oven. I save wear and tear on kitchen knives by just forking the squash, bake it whole, then when it's done, I let it cool for about 15 minutes, then easily split it open to remove the core seeds and scoop out the soft squash (to eat, or in this case, to add to the soup). 3) Once the beans and split chick peas have simmered in the stove for about an hour, drain off the water, then empty the beans and split chick peas into the crock pot. Add a fresh quart of water over the pre-cooked beans and split chick peas. Scoop out the acorn squash and add it all to the beans and split chick peas. Add the carrot chips too, as well. 4) Add the can of Coconut Cream, the turmeric powder, and thinly slice up some of the Jalapeño pepper. Crack sea salt and peppercorns, over the soup base mixture. 5) Gently mix entire contents of the soup inside the crockpot, then cover up the soup with the lid of the crockpot. Set the temp on the dial to High. 6) In a skillet on the stove, add some EVOO, then gently crumble the package of organic Tempeh, and grill the Tempeh until it is seared to a golden brown color. This usually takes about 20 minutes or so. 7) Once the grilled Tempeh is golden brown, add the Tempeh to the soup in the crock pot. Use a spatula to scrape the EVOO into the soup, too, because Tumeric needs a bit of EVOO to bind properly and so your digestive system absorbs the elemental benefits of the Tumeric powder spice. 8) Cover the soup again with the crock pot lid, and set the temperature dial to medium low heat. Let simmer and meld for about another hour, stirring occasionally, until one hour has passed. 9) Serve and enjoy your soup, now that it is finished cooking. You can add your favorite salad toppers (I used Everything Sesame Seed Toppers) to your bowl of soup, if you are like me and can't have certain bread products. So, without further adieu, here's the latest twist on how to make a plant protein and veggie rich homemade soup. 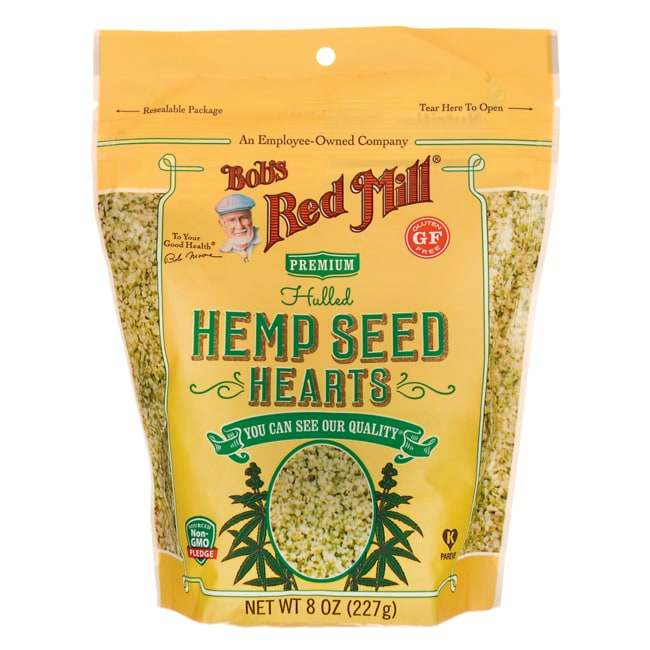 Optional toppings: Organic Hemp Hearts, Organic seeded crackers or Sesame Everything salad topper crackers. Start the night before, by washing up the navy beans and soaking them over night. Rinse off the beans and split chick peas, then transfer them to your favorite soup pan or crock pot. Add the Spring water, all the veggies, Tumeric powder or Curry powder, and drizzle of EVOO. Cook for approximately 2 hours, once you bring it to a boil, then let it simmer during this time span. 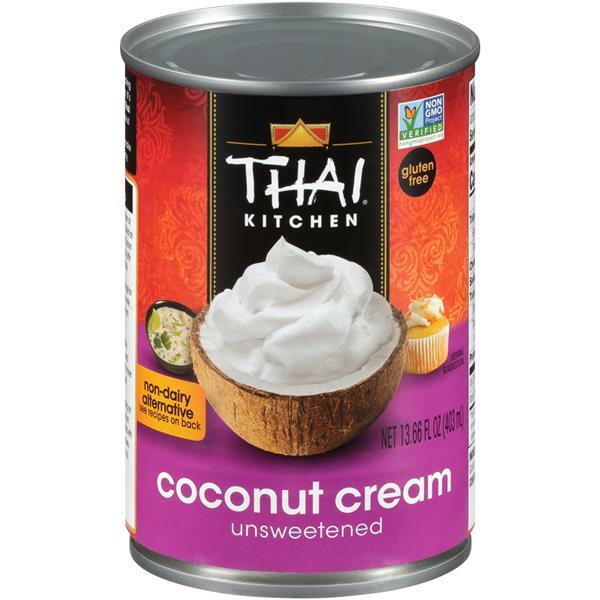 Once your soup has simmer for about two hours, add the coconut cream, the entire packet of the Thai seasoning mix and the three giant tablespoon sized scoops of organic Almond Butter. Stir well, recap your soup pan or crock pot. In a separate skillet, pan sear the 8 meatless meatballs until golden brown on all sides. Then add the meatballs to the soup, then stir the soup up good, then return the lid to the soup pan or crock pot and let the soup continue to simmer, for about another half hour or so. Once your soup has finished cooking, serve it with optional toppings to put on top of the bowls of soup: Use Hemp Hearts or Seeded Crackers (on the side or to dip in the soup) or sprinkle a few of the Everything Sesame Seed salad topper crackers on top. Here's two of the items I used for my homemade soup; which I found good buys on, at the local deep discount grocery store. They don't always have a huge selection of organic, Non-GMO, vegan foods, but I check that store about twice weekly now, just in case they have other quality items that are over-priced at regular grocery stores. I'm all for finding good buys because I can't always afford to pay top dollar for good quality foods. 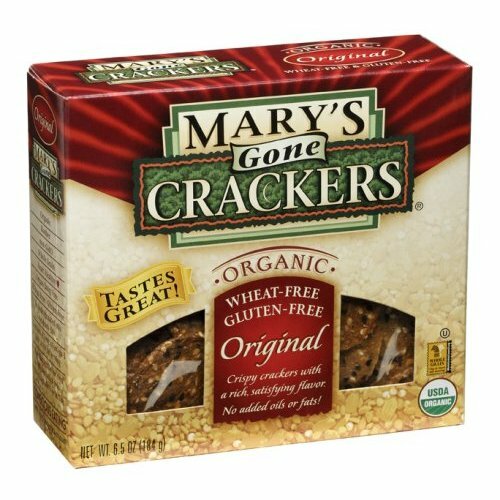 I got the crackers for $2/box, and the Almond Butter for $3/jar … vs... $5 - $7 for either product. So I have been reading about the benefits of ketosis and have decided to start doing vegan keto. Is anyone doing this/has done this? Yay or nay? Are there apps recommended? I have Cronometer and am not too excited by it. (Hopefully I need to just get used to it.) Eating for vegan keto is fortunately not too far off from the way I already eat, just less fruit and vegetable choices. I personally would never do any type of diet that encourages eating less fruits and vegetables or even worse a diet that limits the types of fruit and vegetables you can eat. Whatever works for you. I was hoping to get what experiences people had with this, not a critique. Already get enough of that when people find out I am vegan. I maybe wrong but I think Greco follows something like this kind of discipline...he would be a wonderful resource. Thanks, kittygrrl! I will reach out to him. I'm very interested in vegan keto and vegan paleo, not necessarily doing them but for sure getting ideas from them. I watch a lot of youtube videos on the topic, and I always learn useful information. I pick and choose what I incorporate into my own lifestyle and way of eating. Tantalizing, I hope you will share with us as you go. And yes, Greco is the Master- has been very helpful to me.